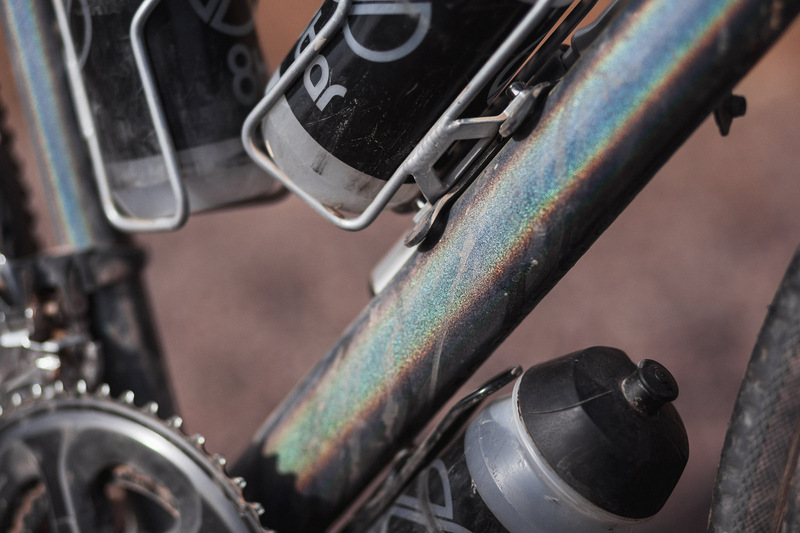 We from 8bar love to ride our bikes ourselves and go on trips that deviate somewhat from the average. 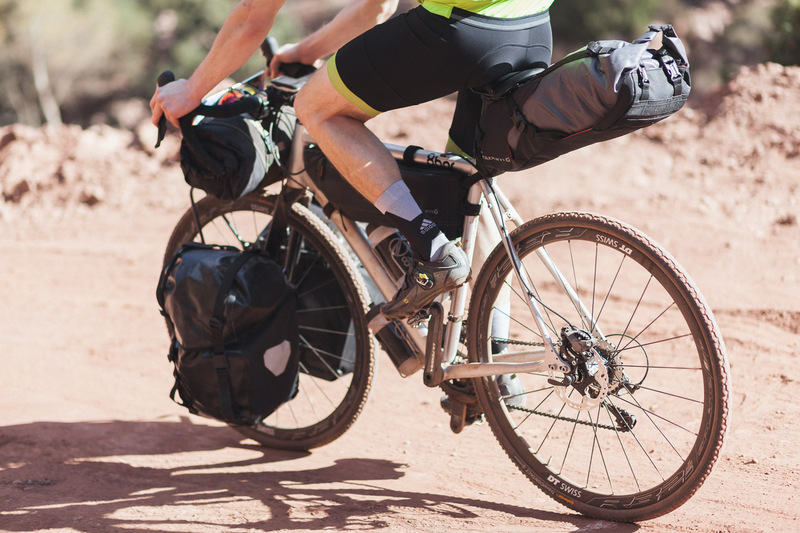 Starting in 2012 by crossing the Alps with our fixed-gear bikes, to taking a trip from Berlin to Prague without the help of a map with our Singlespeed Cyclocross bikes in 2013 and climbing the Schneekoppe, the highest peak of the Giant Mountains in Poland, in 2014 with our road bikes. Preferably, the streets should have as less traffic as possible and ideally consist of gravel roads. At the end of planning, our trip covered a distance of 840 kilometres, an overall altitude of 12.000 metres and was mainly located outside of touristic areas. This time we decided on Africa, the Atlas Mountains in the middle of Morocco to be more precise, as our next destination. The Atlas forms a striking divided line between the relatively humid climate in the far north of Maghreb to the extremely dry Sahara. 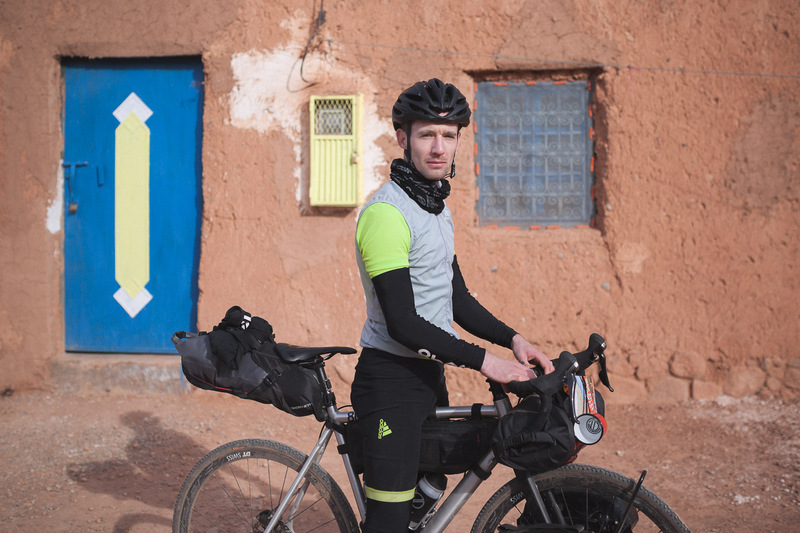 The start and finish took place in Marrakesh, which lies about 50 kilometers north of the Atlas Mountains. 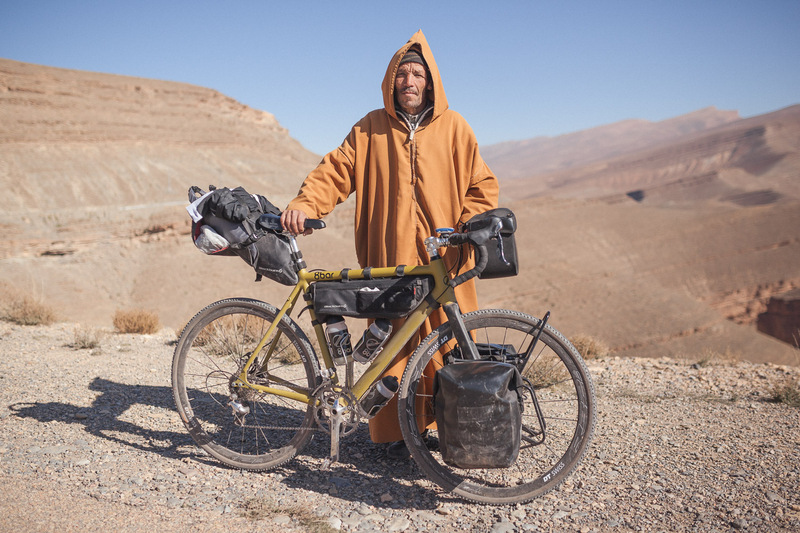 The main idea was to first cross the mountains straight to the south and to ride along the southern side for a while before crossing the range once again to get back to Marrakesh. Preferably, the streets should have as less traffic as possible and ideally consist of gravel roads. At the end of planning, our trip covered a distance of 840 kilometres, an overall altitude of 12.000 metres and was mainly located outside of touristic areas. 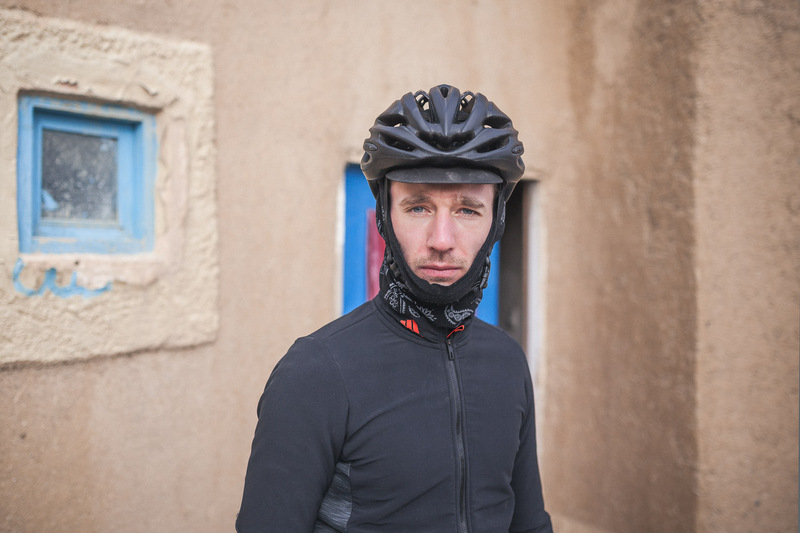 As we planned to take 8 days for the whole tour, it meant we had to ride 105 kilometers on average per day. 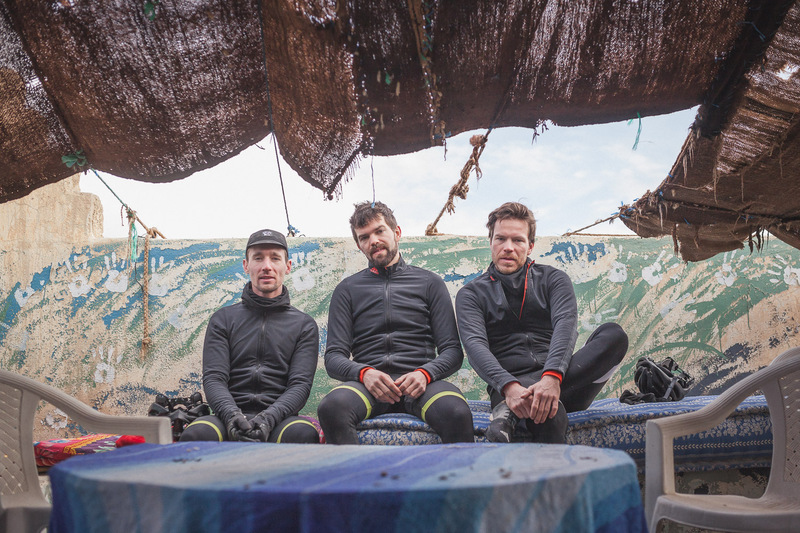 Since this region of Morocco is relatively sparse in population, Stefan, Max and I chose to bring everything we needed in order to camp outdoors. That way we were able to plan our route far away from touristic and paved roads. 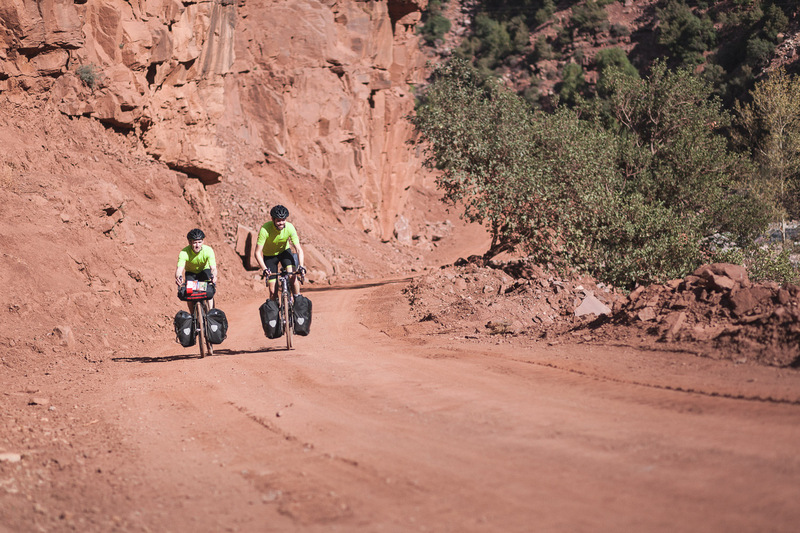 Specific stops to stay overnight were not planned in advance, we only focussed on reaching our 105km average per day. 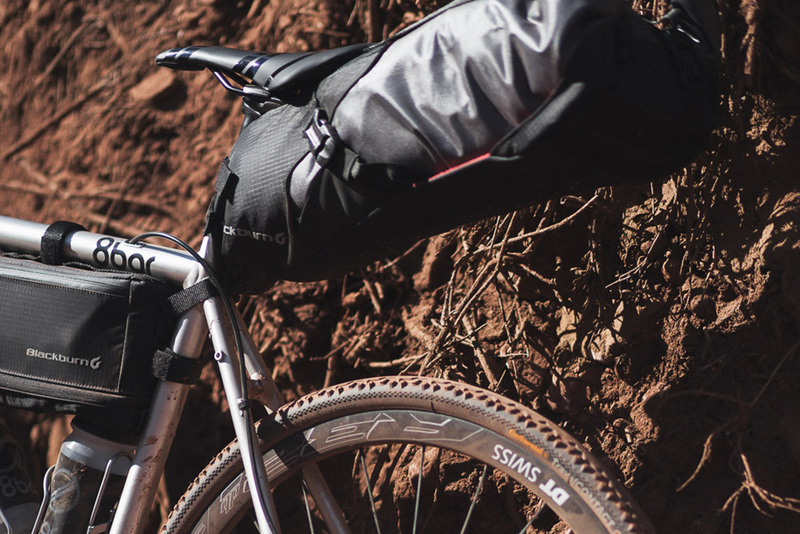 The 8bar MITTE is the perfect choice if you are looking for a bicycle that you can use as a Road-, Cyclocross- and an Adventure Bike. 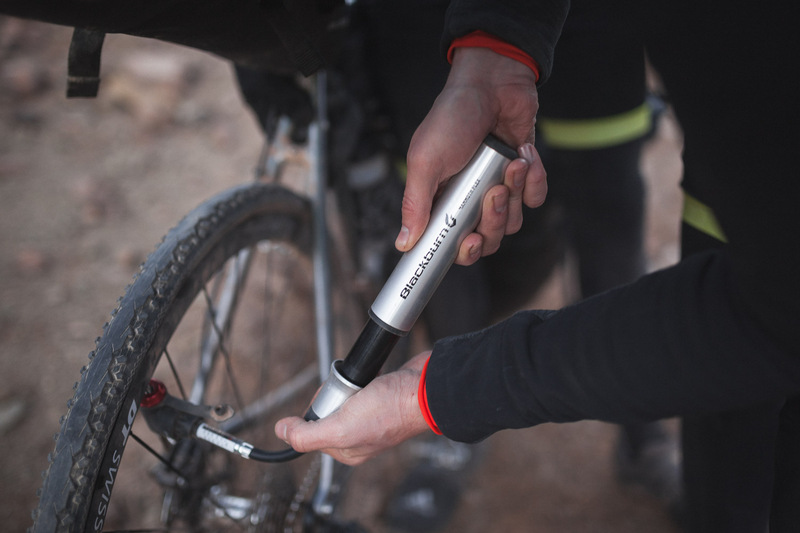 It can change its Geometry completely and transform from a Road- to a Cyclocross- or even to an Adventure Bike. We would like to invite you to be part of the creation of this truly unique bike by joining our first crowdfunding campaign on Kickstarter.com. 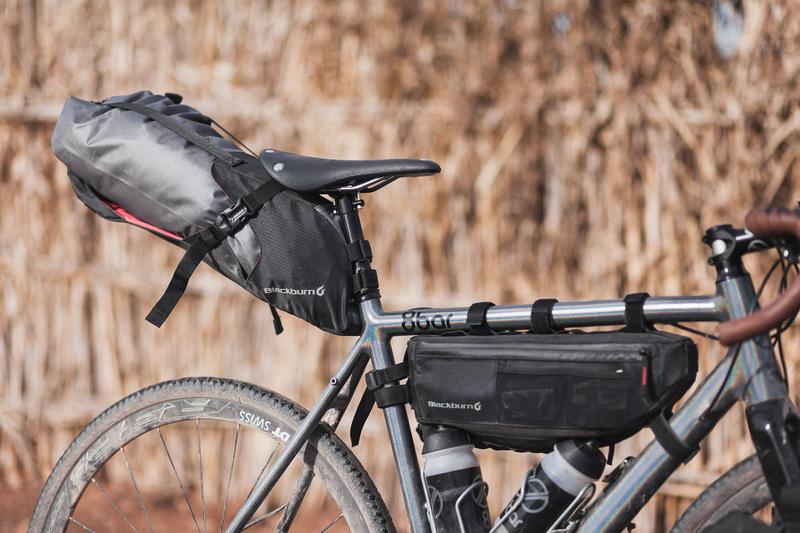 Equipped with disc brakes, lightweight DT Swiss R32 Spline wheels, all terrain tires and the mounting space for panniers it provided the perfect basis for a multi-day bicycle tour. 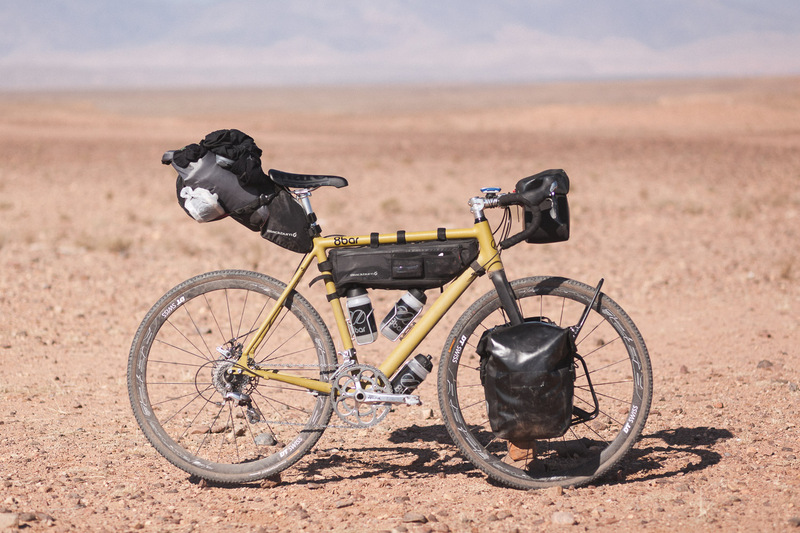 We expected to face extreme temperature changes, since the route went through the Atlas Mountains. 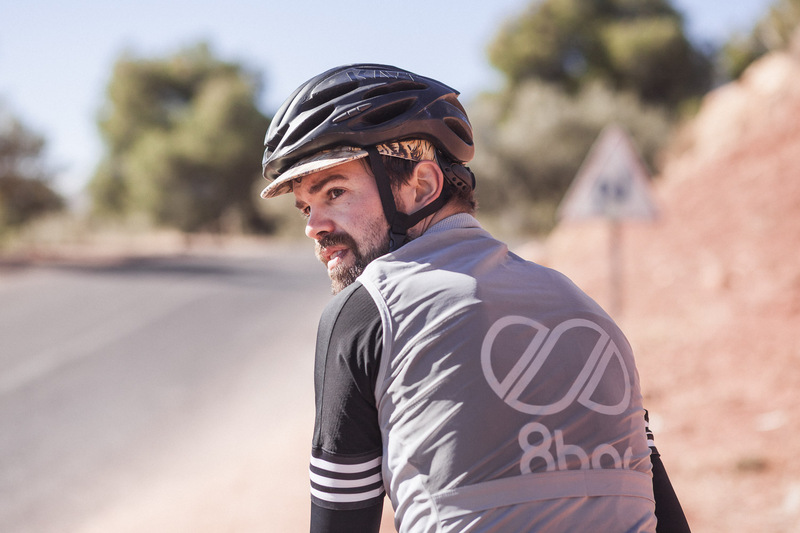 Summer and winter clothes from adidas Cycling were an inherent part of the equipment. 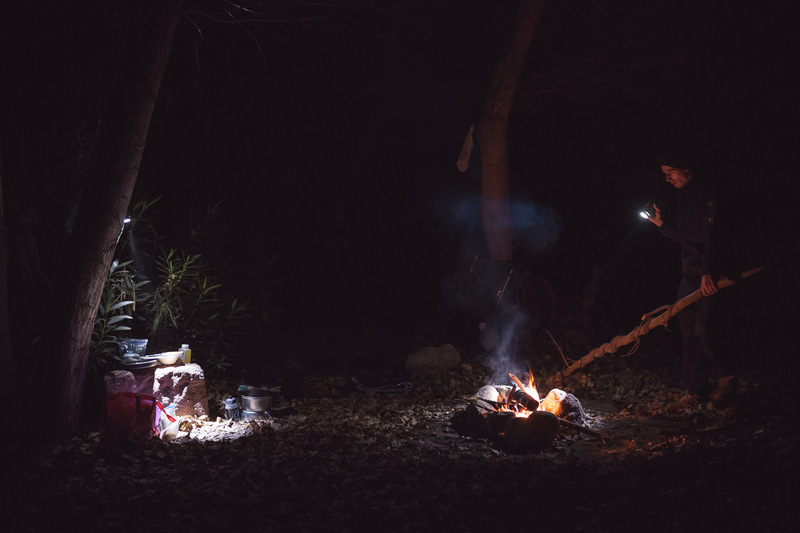 To stay overnight a tent, sleeping pads, sleeping bags and cooking equipment couldn’t be missed. 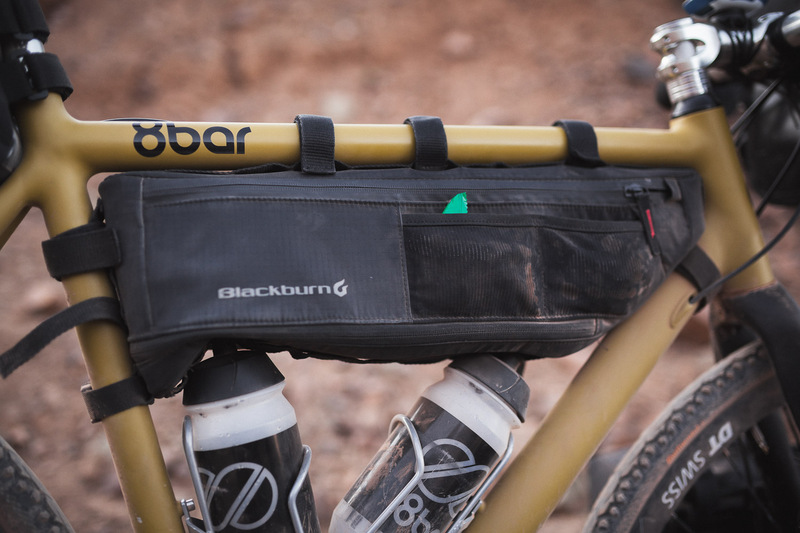 All found space in our Blackburn bags. 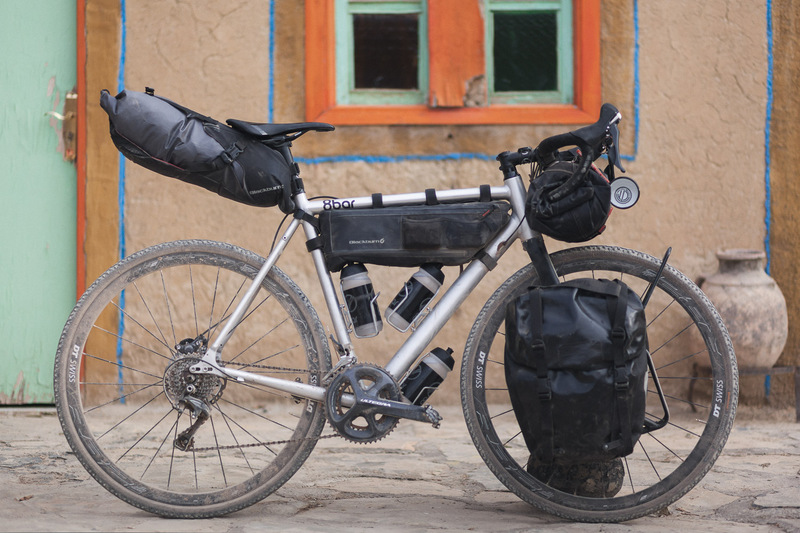 Due the lack of bike shops along the way we had to be prepared for every conceivable defect and therefore took all kinds of spare parts along with us. Stefan Haehnel additionally had to bring his entire camera equipment to take pictures and videos of the trip. We arrived in Marrakesh by plane from Berlin and directly drove to our accommodation which we had already booked in advance for the first and last night. 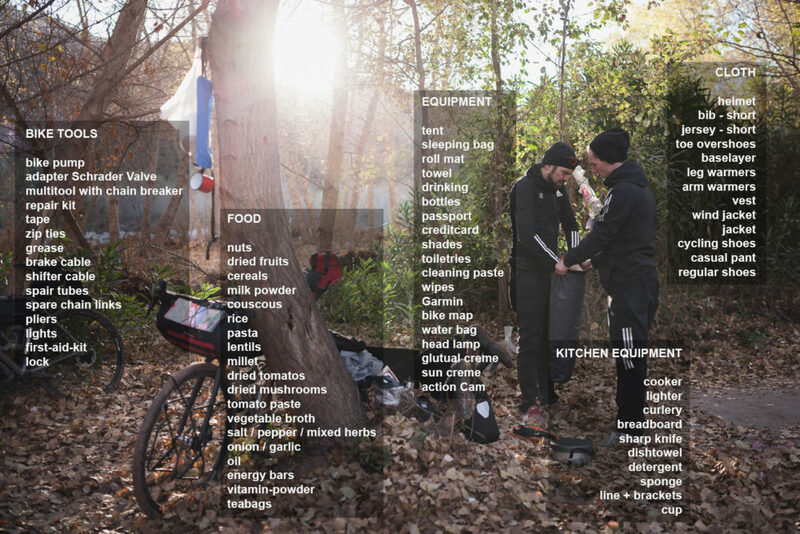 Once there, we set up our bikes to check if everything remained intact and to make sure we had not forgotten anything. Fortunately, everything was still in place and our bikes had survived the flight well. We went to a typical Moroccan restaurant to grab some traditional food and got to bed quickly afterwards as we had planned to leave early the next morning. 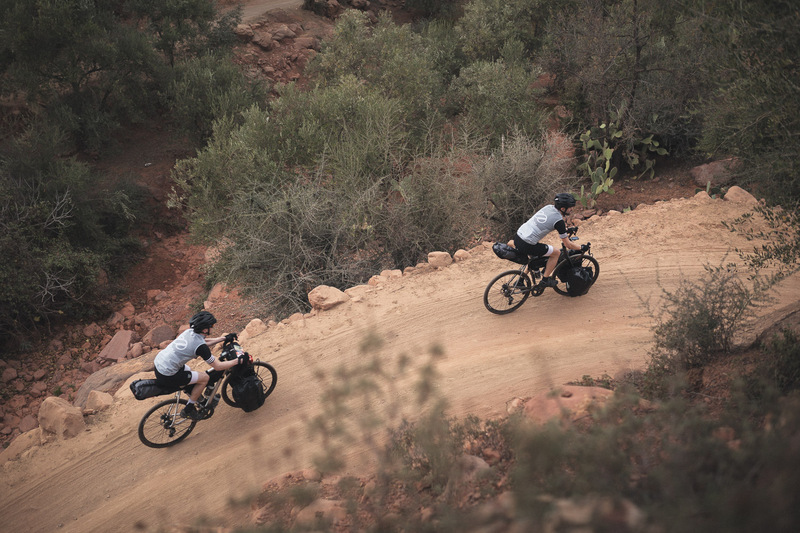 Up to 50 kilometers, the track was relatively flat and we made good progress, but arriving at the foot of the Atlas we only went uphill for the remainder of the day. The people living there did not have running water nor electricity and rarely got to face tourists, let alone tourists on bicycles. As we rode through the village people got out on the streets and waved to us. Our bike speedometer showed a total of 66.9 kilometers after day one, leaving a gap of nearly 40 km. However, we were confident that we would do better today and could make up for yesterday’s leeway. According to our map we had to go uphill for a further 40 kilometers, but for a longer stretch we would go downhill. We woke up before sunrise to start the day off early. 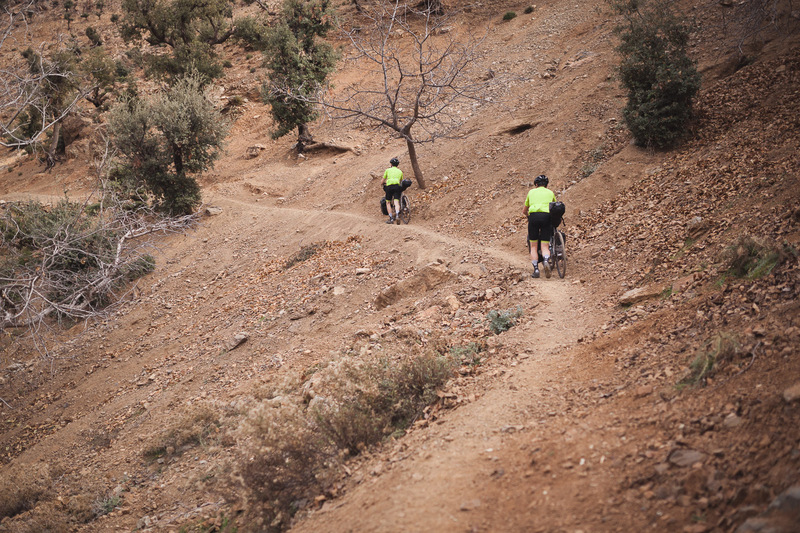 The first 10 kilometers steadily led uphill with 3-6% on a gravel road. Our map showed a road to the left, over the summit, marked as a smaller side street. But when we arrived at the marked point, there was no clear diversion but only some sort of path. We were not completely sure if this was the right way to go, so we rode a few hundred meters up and down to be sure. As there was no other side road around, it had to be this one. After 5km on this nearly impassable trail, we looked at our map hoping for another, better way to get over the ridge. 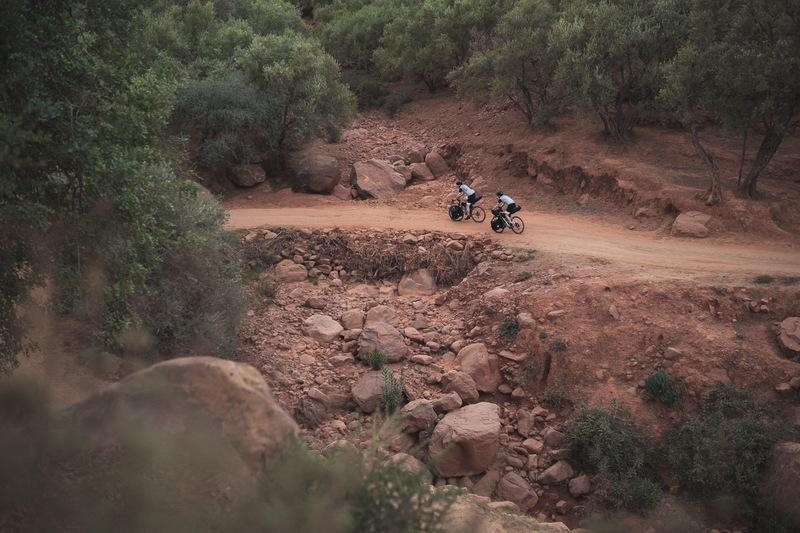 With no other road in sight and the next turn being too far away, we decided that all our efforts that were put into fighting the steep hills shouldn’t be discarded. Thankfully our map showed us that our current path would eventually cross a road about 10km away that seemed to be more busy, so we unanimously decided to go further. At first it was great fun as we were able to drive some interesting and diverse sections. 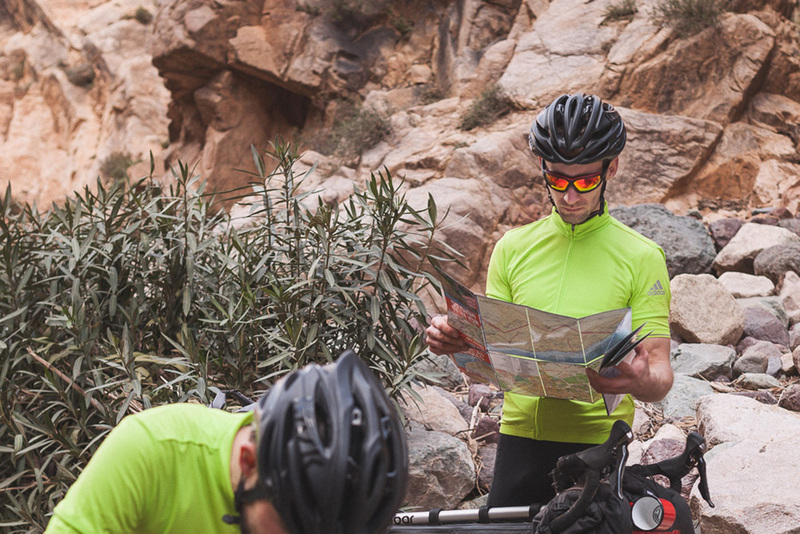 But the deeper we got into the mountains, the bigger the rocks became and we ended up having to lift our heavily loaded bikes over the boulders and rocks in order to move forward. At this rate, we only reached around 2 to 3 kilometers per hour. After 10km of hiking, carrying our bikes and nearly tripping over rocks, we were totally exhausted. When we finally reached a small town, the sun had already set. The people living there did not have running water nor electricity and rarely got to face tourists, let alone tourists on bicycles. As we rode through the village people got out on the streets and waved to us. In a small German mountain village you would probably not see much more than a cat crossing the road, but this village was filled with life. From there on, fortunately, the roads only became better and mostly rideable. At this point we were almost 2.000m above sea level and the temperature had dropped to a chilly 5 °C. When we finally reached the main road, it was already dark. 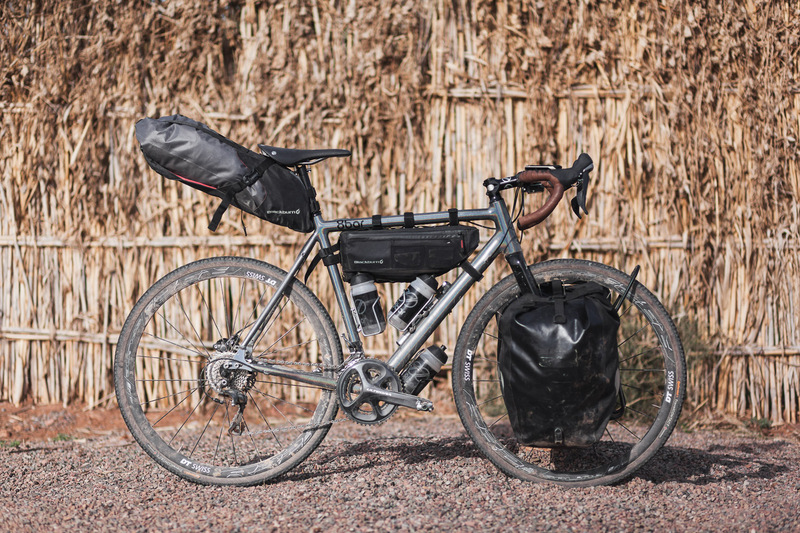 Read the second part of the “8bar High Atlas adventure story” >>here <<.